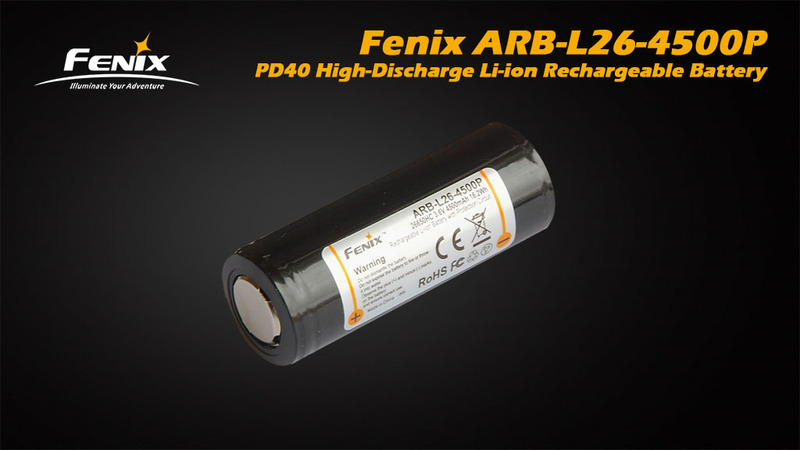 ARB-L26-4500 is a High-Discharge 26650 Li-ion rechargeable battery specially designed for the Fenix PD40. Only with this battery Fenix PD40 able to product 3000 lumens output. Outstanding performance, excellent reliability and compact design, it is the best match for your high-drain devices.